NAMRIA produces topographic maps, aerial photographs, and satellite images. We also provide nautical charts needed for sea navigation. The topographic maps are available in different series (701/711/National Topographic Map Series) and scales. NAMRIA also keeps all base map reproducibles such as different thematic maps such as land condition, land cover, land use, planimetric, and administrative maps. Download latest Product and Service Catalogue here. Accomplish the Client Needs Assessment here. Topographic maps are graphic representations of the earth's natural and man-made features. The shape and elevation of the terrain are portrayed in them. Elevation is expressed in a 100-meter contour line interval. These maps are fundamental tools for planning, researchers, and studies. These are used as base maps and form an essential part in the preparation of other kinds of thematic maps. NAMRIA produces maps in different scales. 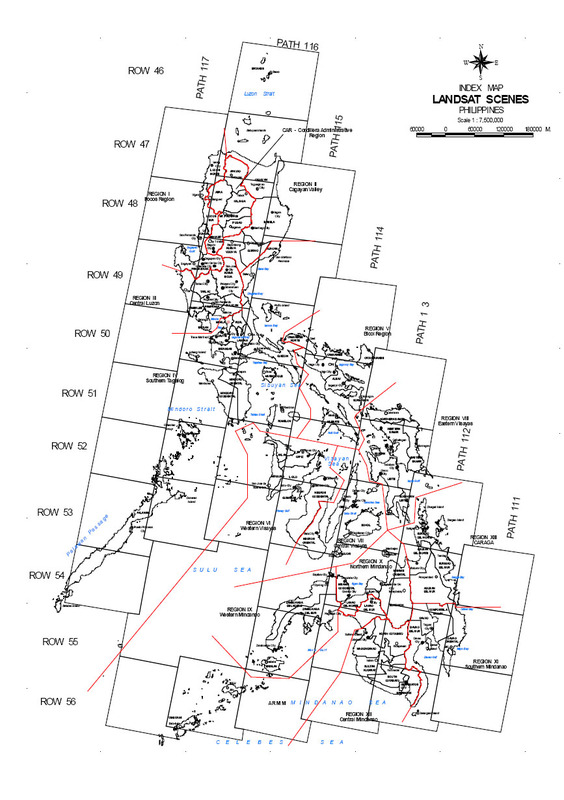 The Philippine topographic maps at scale 1:250,000 were produced with information from the Philippine Coast and Geodetic Survey, Army Map Service, Corps of Engineer, US Coast and Geodetic Survey, Bureau of Public Highways, and other agencies. These maps are downloadable and can be printed on an 8 x 11.5 inch bond paper. The Map 711 series at scale 1:50,000 was originally published by the US Army Service and was compiled from aerial photographs taken in 1947-1953. It was replaced by the Map 701 series which was produced using aerial photographs taken in 1979. It only covers the Luzon island, however. The NTMS at scale 1:50,000 is starting to replace both S711 and S701 maps. It covers the whole Philippines in 672 sheets. Maps are in 15' x 15' interval. Elevation is expressed in 20-meter contour line interval. Topographic maps at 1:10,000 scale were produced using the aerial photographs taken in 1982. It covers an approximate area of 1,500 sq. km. encompassing the whole Metro Manila and the adjoining provinces. 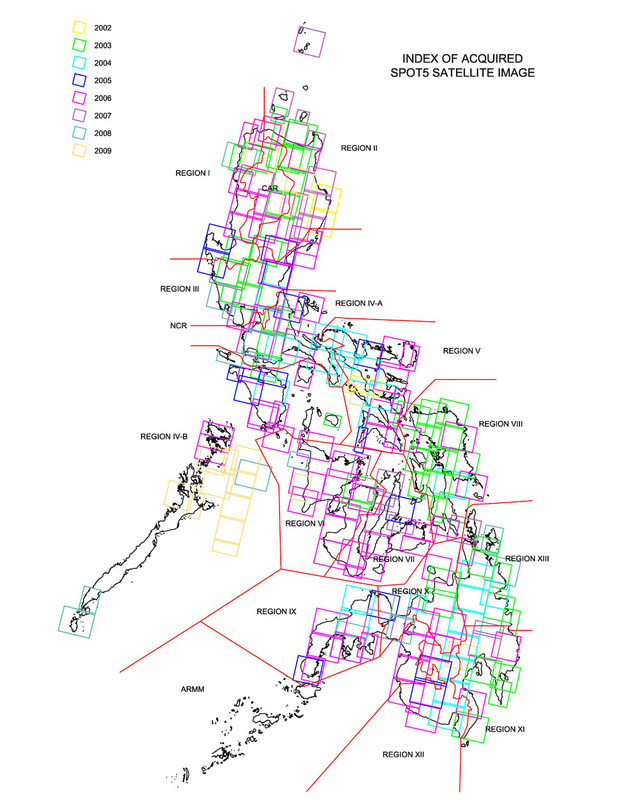 Also available are 22 maps covering Ilocos Norte, La Union, Baguio City, Subic, Legaspi City and Zamboanga City. The 1:5,000 scale map is the largest topographic map scale we have produced. This covers the urban areas of Bacolod City, Iligan City, Metro Iloilo, Metro Cebu, and Cagayan de Oro. note: Inquire at the NAMRIA Information Center or at the MSOs regarding the availability of these maps and for further information. These are charts that depict the relief of the sea bottom and illustrate the navigable portion of the water areas. Important data found in these charts are water depth, current force and direction, aids and hazards to navigations, characteristics of the sea bottom, and other information of vital interest to mariners. NAMRIA is currently maintaining 178 nautical charts in various scales covering the whole country. These charts are classified according to their usage as follows: 81 harbor charts at 1:50,000 scale and larger; 66 coastal charts at 1:50,001 to 1:100,000 scale; 26 general charts at 1:100,001 to 1:600,000 scale; and 5 sailing charts at 1:600,001 scale and smaller. Satellite Imageries are representation of the earth surface produced by the receiving station reflected from the surface feature beneath it.The radiation received by the digital scanner on satellite platform is averaged across each instantaneous field of view (IFOV) to produce the image. NAMRIA has in its holdings several types of satellite imageries such as Landsat TM, Landsat 7, SPOT XS and SPOT Panchro. An aerial photograph is any photograph taken from an airborne vehicle (aircraft, drones, balloons, satellites, and so forth). Aerial photography is extensively used mainly to document surface conditions, physical boundaries, prior use and /or onsite activities at any given period in time. In addition to interpretation of surface features, aerial photography can be used to interpret subsurface features and to produce topographic and planimetric data which are major inputs in making maps. Tides and Currents Tables. An annual compilation of tide predictions at some 320 locations nationwide, and tidal current predictions at 37 straits and passages. It is a must for all ships to carry this onboard and serves as a reference in flood control, fisheries and aquaculture, coastal engineering, tourism, and other coastal activities. The Tide and Current Tables is for sale at Php 480.00. Get it at your nearest NAMRIA Map Sales Office or at the Hydrography Branch. Notice to Mariners. A monthly publication containing all reported changes/revisions in aids to navigation, recent chart corrections, and relevant warnings. A compilation of all reported data is published every month and is available here for download. It could also be mailed free to mariners upon request to the Director, Hydrography Department, NAMRIA, 421 Barraca Street, San Nicolas, Manila. Infomapper. A semi-technical annual publication which deals mainly with NAMRIA's activities; research and development studies; and project applications in surveys, mapping, and resource information technology. Philippine Coast Pilot Book. The publication is useful to navigators for it contains sailing directions, and description of Philippine coastal features, channels, harbors, ports and facilities, weather patterns, dangers, and aids to navigation. This publication is for sale at Php 3,000.00. Get it at the NAMRIA - Hydrography Branch in 421 Barraca Street, San Nicolas, Binondo, Manila.